That techpriest is amazing! Nicely done! Oooo.. I like that idea... ill try that tonight! Thanks!! 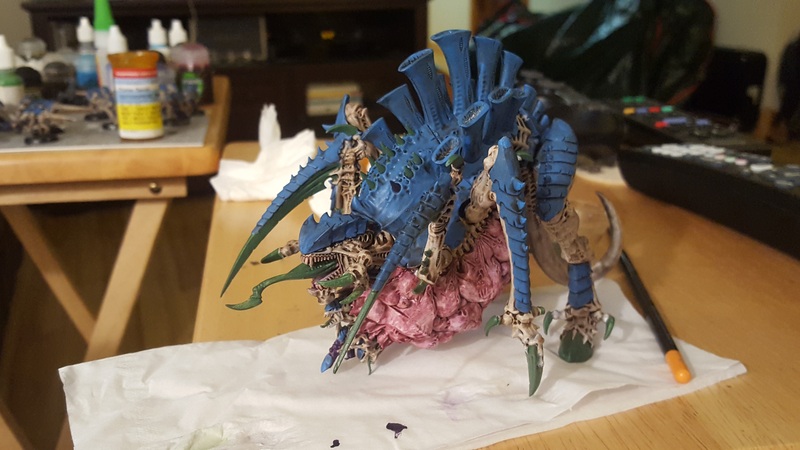 I did some work on the Tervigon last night, mostly just basecoating, but there is still a lot more left. 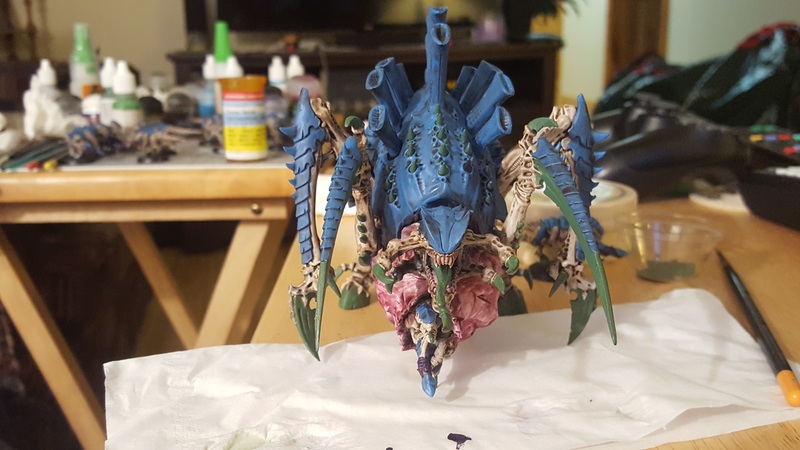 I like the Carnifex! Very nice scheme! Thanks! 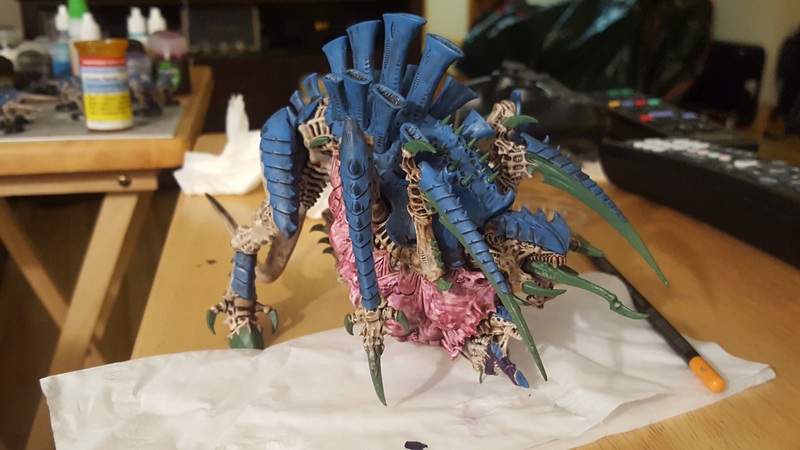 I was going for something relatively quick / easy that wouldn't crush my soul when having to paint dozens of models. Sarkastik wrote: Great job on the flesh sir! *PSst* Guildey is a lady! Great job on the flesh sir!